As beautiful as a diamond necklace from the 1940s, this piece is exquisite. With timeless style, our Timeless Beauty Necklace captures the elegance of precious diamond necklaces from late 1940s Hollywood. With a sparkling Austrian crystal centre knot design leading to three pear cut crystal droplets, the subtle sparkle of this exquisite silver tone necklace is the epitome of understated glamour. Beautiful worn alone or with coordinating Timeless Beauty Earrings for a look worthy of a Screen Starlet, this is perfect for all occasions from a dinner date to a glamorous event. 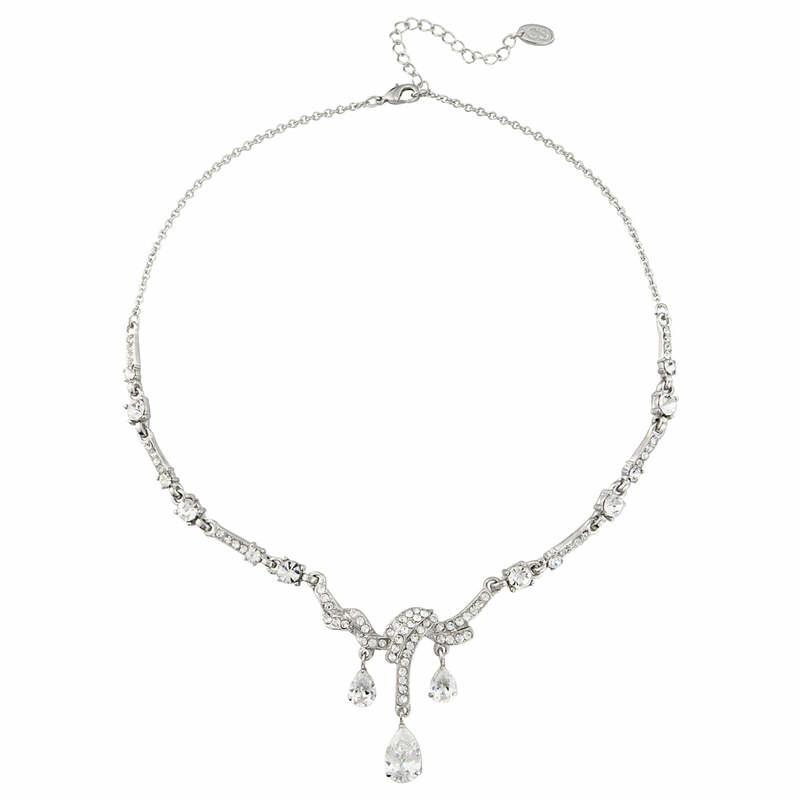 The perfect wedding necklace for the bride who favours subtle vintage bridal jewellery from 1940s Hollywood, this accentuates all styles of bridal gowns with effortless grace.